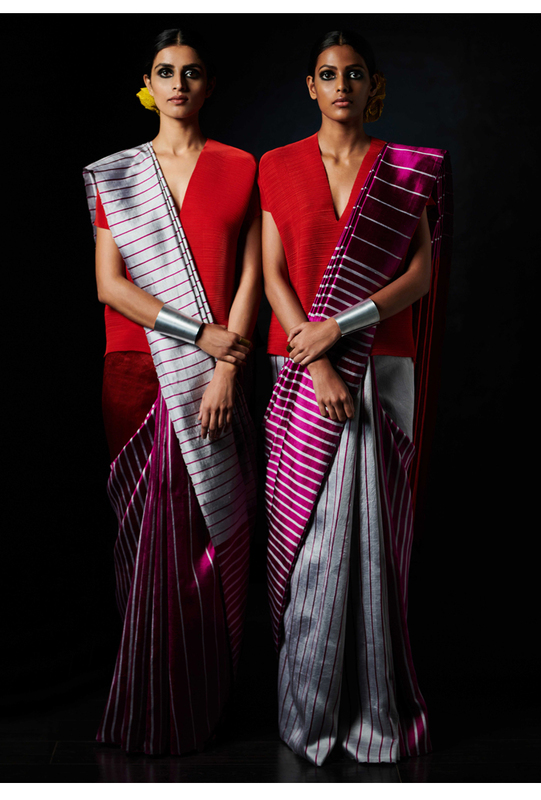 Anyone who’s worn a sari knows they can be tied and styled in a multitude of ways, but now Indian designer Payal Khandwala has launched a chic new season range that gives you even more options than ever before. 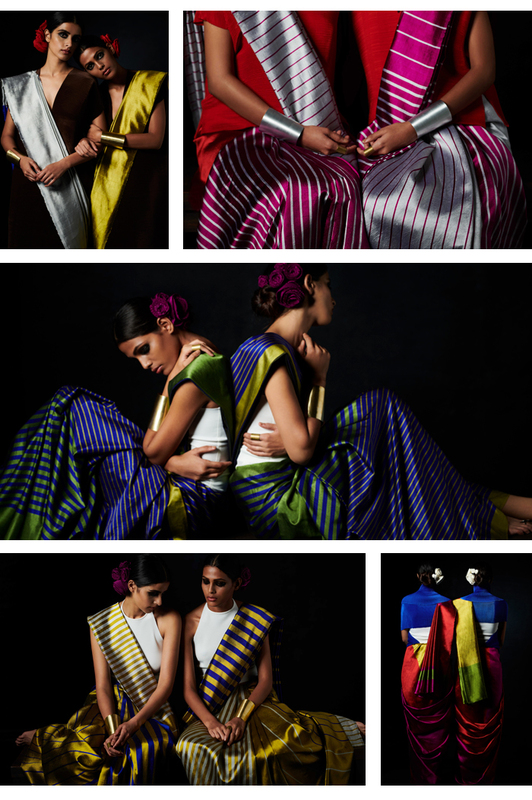 With sustainability in mind, the new collection focuses on reversible saris. 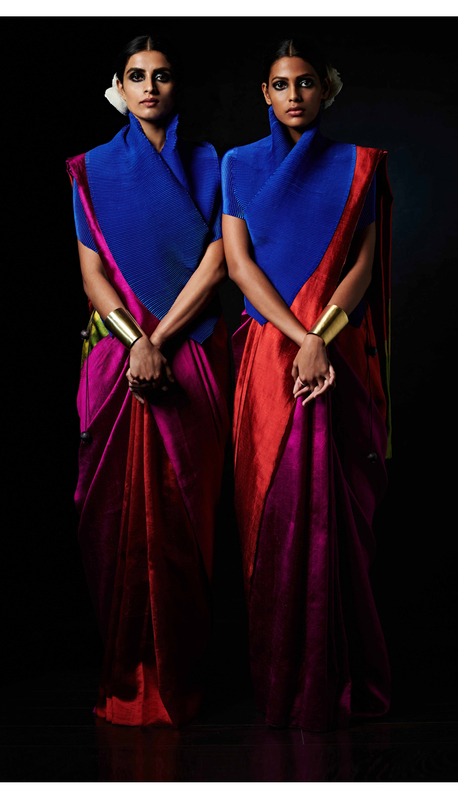 Khandwala says: “As a Gemini and a sari lover, I’ve always wondered how to make saris even more multi-purpose than they already are. Just as I’ve committed, as part of our pret offering, to rethink separates to add breadth to our wardrobes, I thought it important to be able to somehow bring that element of surprise to the sari. In the past we’ve teamed our saris with wardrobe staples; the shirt, the blouse, a tee, a tank, a waistcoat and a jacket. 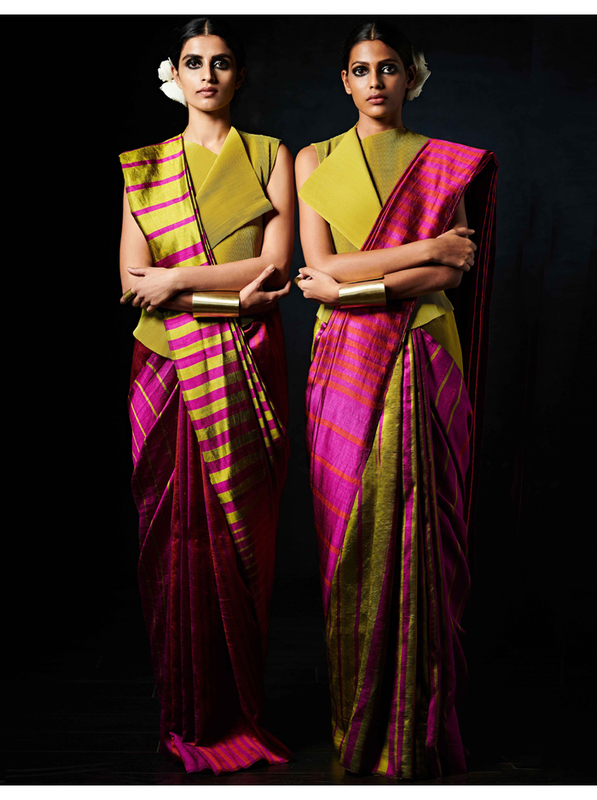 "Our saris are hand woven in mulberry silk and cotton, in plain and twill weaves. The palette ranges from our bright summer hues of scarlet, citrine, sapphire, chartreuse, and magenta to silver, coffee and charcoal." "Accessorized with our handmade pleated flowers, recycled from studio waste, to dress the hair and minimal Tachi arm cuffs in stainless steel and brass - this collection doubles the fun of styling the sari in a restrained yet luxurious, but dramatic way. The spirit as always is fierce and feminine and still intrinsically India modern."